Wara Wara Izakaya, Elizabeth St, Brisbane CBD - my name is Food. 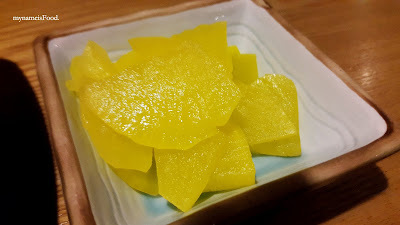 Side Dishes always puts a smile on your face, especially if they give out more than 3. Yes, some restaurants sadly only gives 1 or 2 side dishes, but when you see bits and pieces of this and that in front of you even when your main dishes has not arrived just makes you feel welcomed and even if the food do come out a while, it doesn't matter because you would have something to nibble on already in front of you. 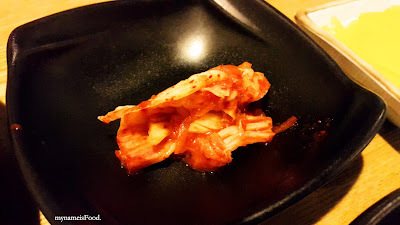 Korean restaurants has a tradition of giving our side dishes but they do vary from one joint to the other. 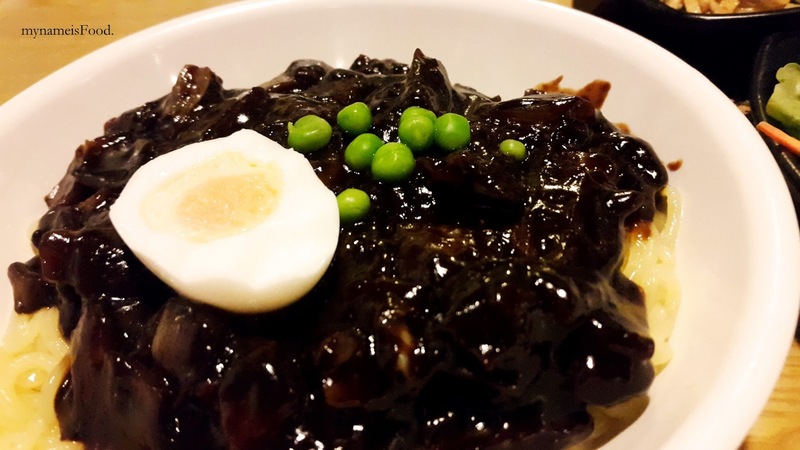 It has been such a long time since I had Black Bean Noodles aka. 자짱면 (M: 14, L:$16) in which we thought since we were sharing and were planning on ordering other dishes as well, we order the Medium size. 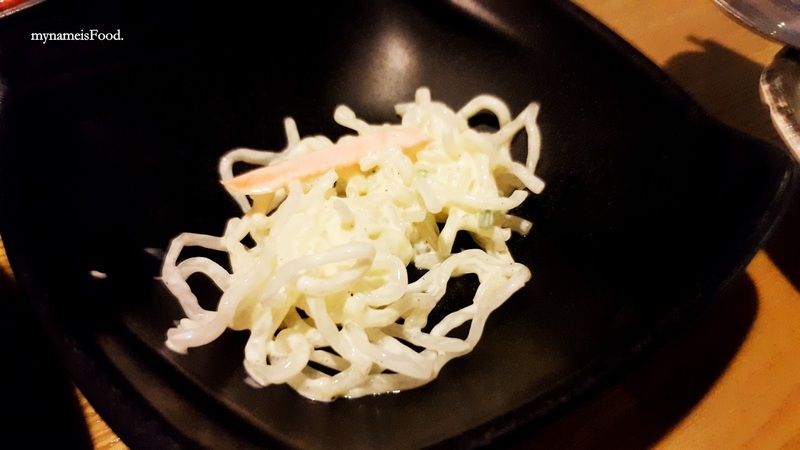 To be honest, if this was their smallest portion of the noodles, then I am unsure of how one person can finish it. The portion was so much, it just felt like a large although it wasn't.. so, I was wondering how would a large portion look like? 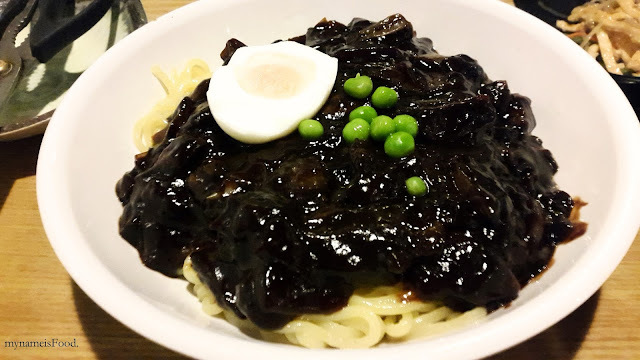 The noodles were plain noodles, nothing special but the Black Bean sauce made everything delicious. What you do when you eat this dish is to mix everything first and then as soon as everything is combined together, then you eat it. Be careful though when eating this because you might get some sauce on yourself. 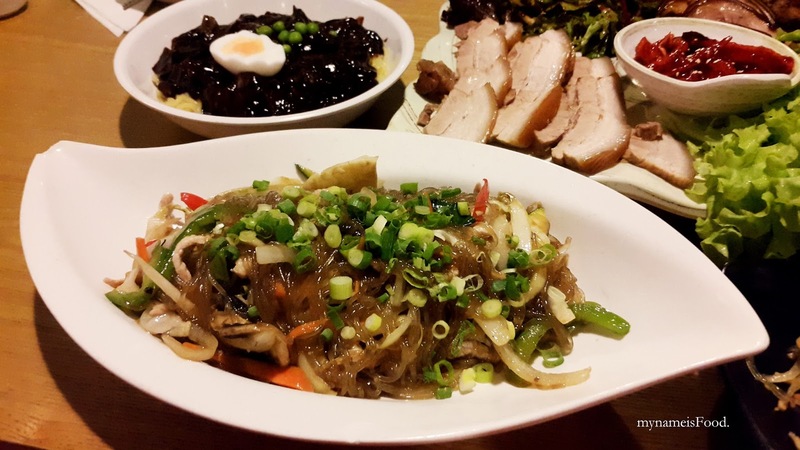 Some restaurants have their Black Bean Noodles more watery and some might be quite thick. It usually consists of vegetables and bits of pork belly. There is a seafood option but I usually stick with the original version. The taste itself was not too bad but a stronger taste of the Black Bean would have been better. Also, do not confuse yourself with thinking the Korean Black Bean Noodles is the same as the Chinese Black Bean sauce, because although it originates from the black beans, its tastes do differ from one another. 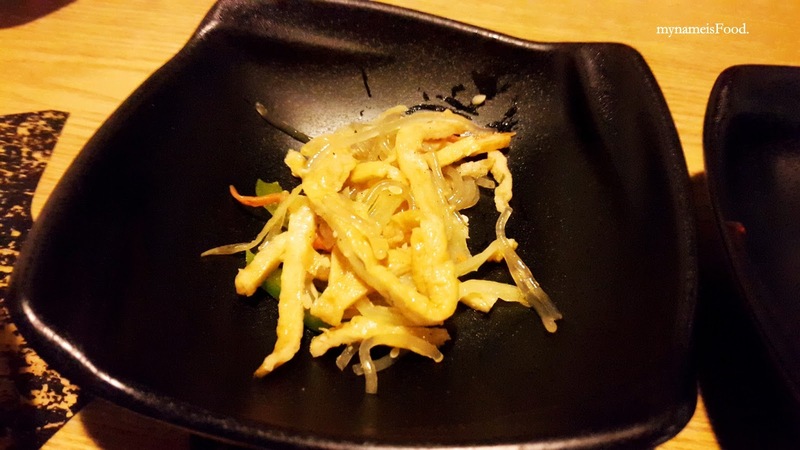 Jap Chae aka. 잡채 ($18), a stir fried glass noodle with beef and vegetables. Some may like this dish as a side or as an entree, but I am happy to eat it as a main. 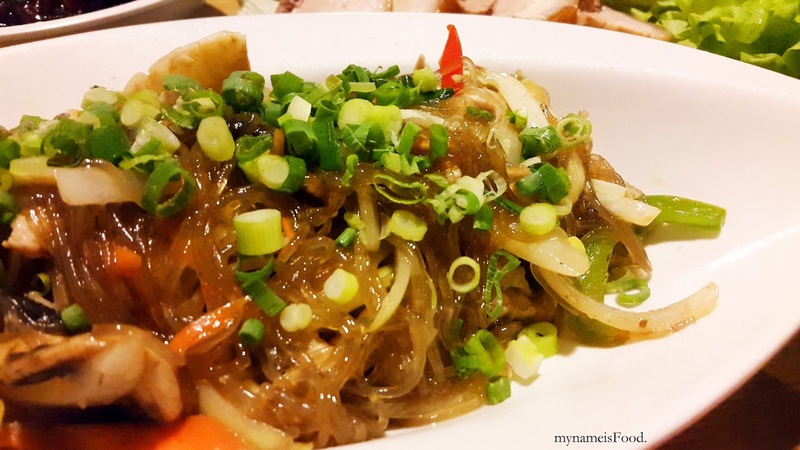 Another classic Korean dish but filled with flavour and the use of glass noodles instead of your usual rice or egg noodles makes the dish different. I did find this dish slimier than I thought it would be, maybe too much sesame oil. 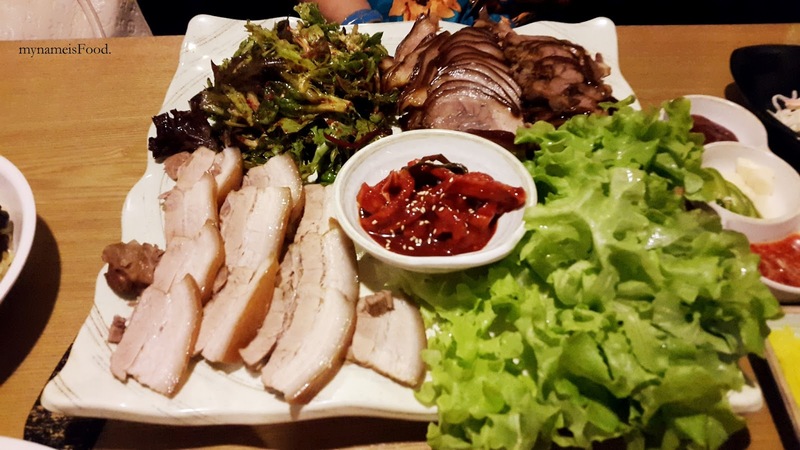 Luxury Bossam Jokbal ($38) is a combination of braised pork & pork hocks with Napa wraps. 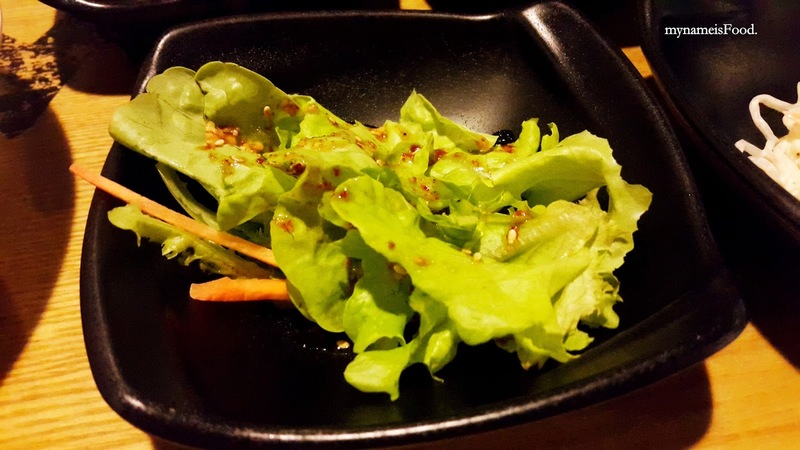 Although I thought that it would have Sesame Leaf Wraps, it came out with your usual supermarket green lettuce wraps. On the side, a marinated mix of fresh greens which the Korean red pepper sauce, Go Chu Jang was used. The portion itself is great for a sharing plate. 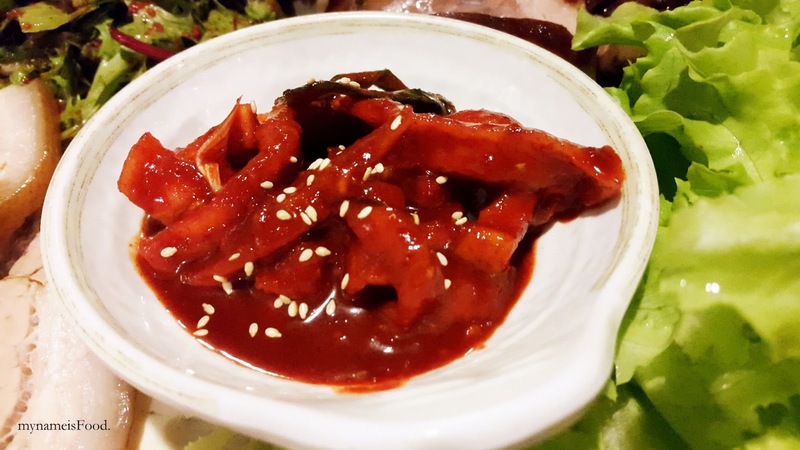 If you want to order rice, you may and it will go well but the main idea of this entire dish is that you eat your meats by wrapping in the lettuce, putting a garlic or two, putting some kimchi if you prefer and then topping it with the red sauce. Delish! The meats were nicely braised, both had their own bases so it was nice having 2 different cuts of meats in 2 different bases. 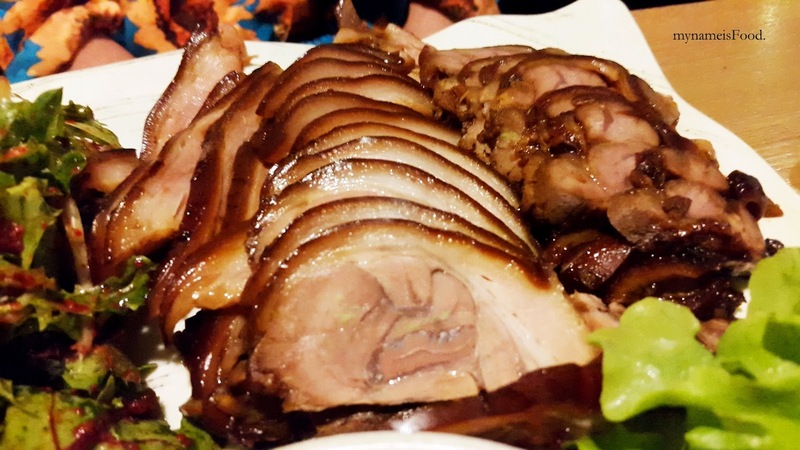 The Pork Hock was quite easy to chew but the pork was rather hard especially near the skin area. 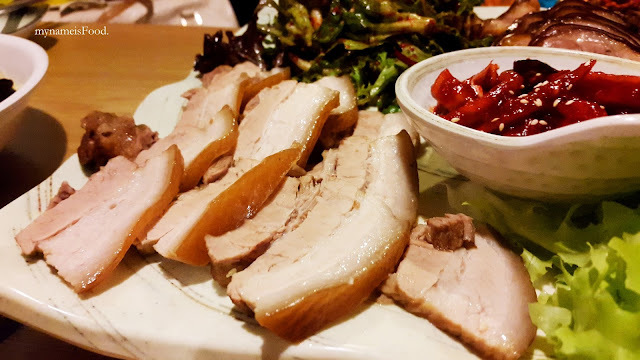 There seemed to also be more fats than the pork meat itself which was disappointing. Wara Wara do open till quite late so if you ever want a quick lunch meal or somewhere to relax and have a few beers then this is the place. If you are wanting gourmet food or Korean BBQ, then this isn't the place, just go next door.